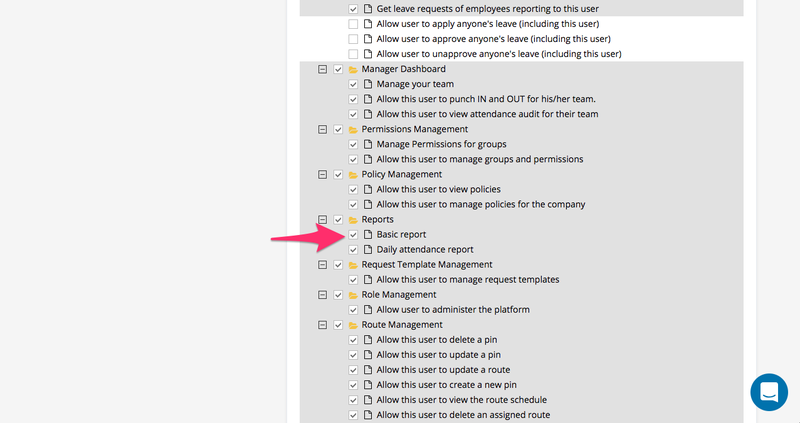 If you are unable to see this option, you will need the permission to access this report from the groups and permissions. 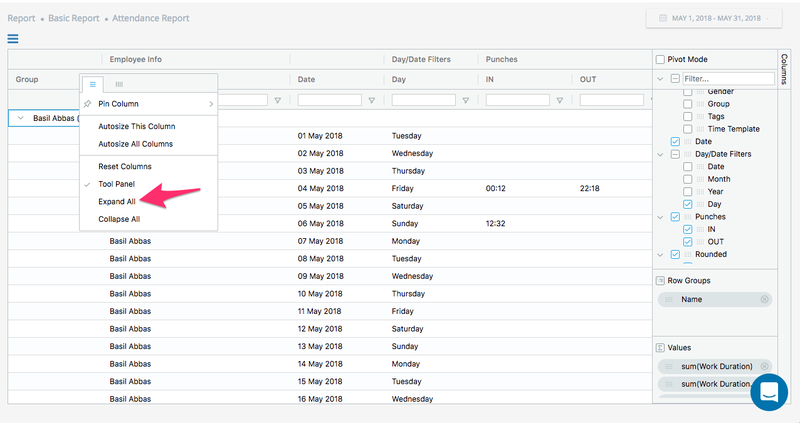 To generate a report select the date from the date selector. 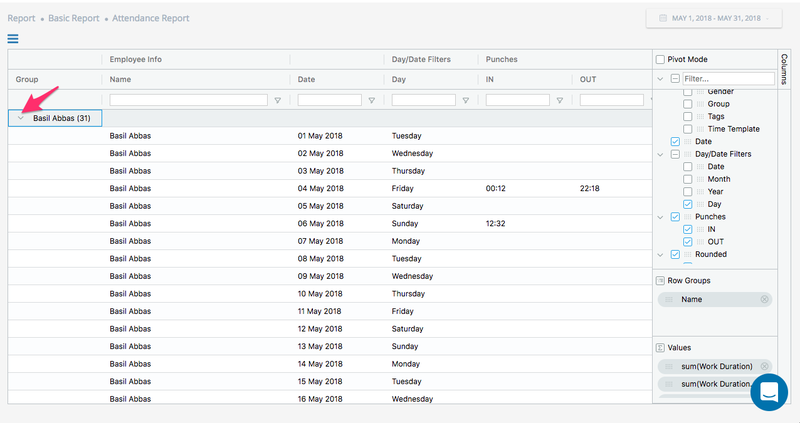 Usually the date range will be your payroll period. To hide or un hide the left sidebar click on the hamburger button. 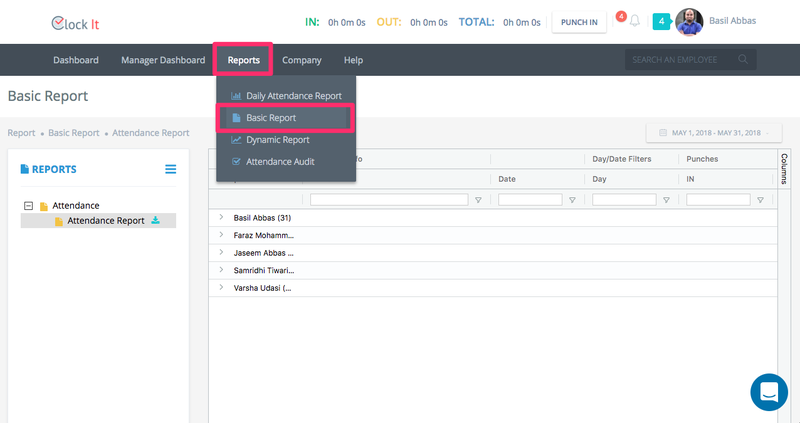 Use the columns button to hide or unhide columns within the report. 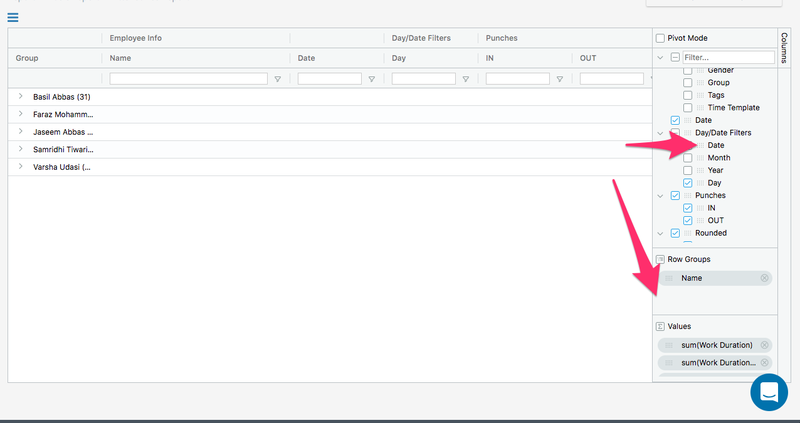 By default we will hide some of the columns that you can enable. 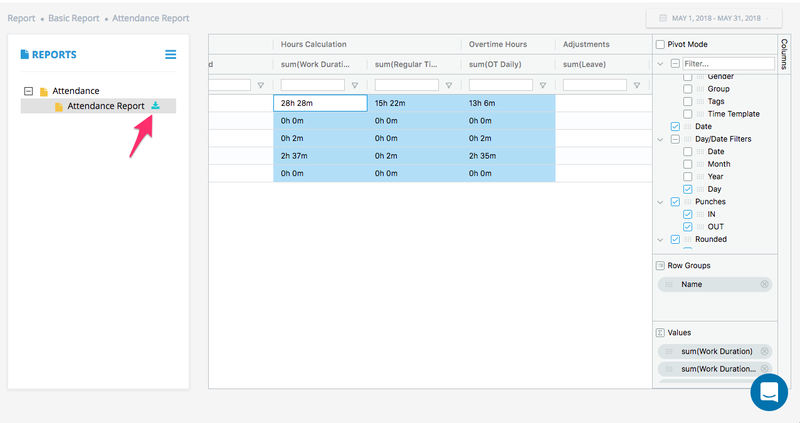 For Example, hours in decimal. 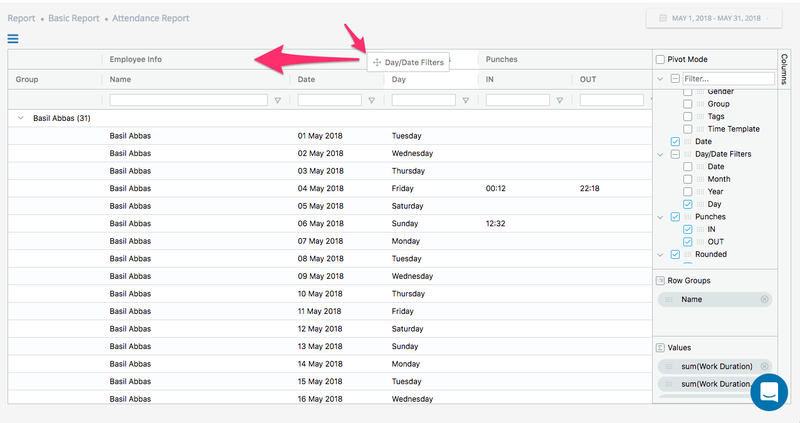 To pin columns to the left or right click on the column menu. 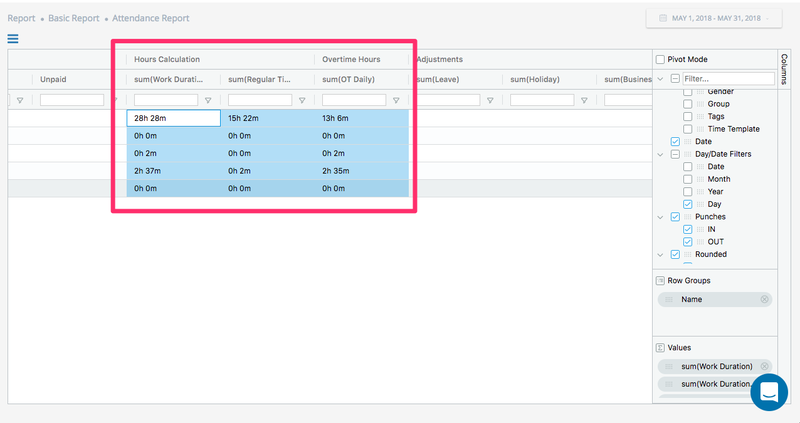 To group data based on the column value, drag and drop them in the Row Groups. 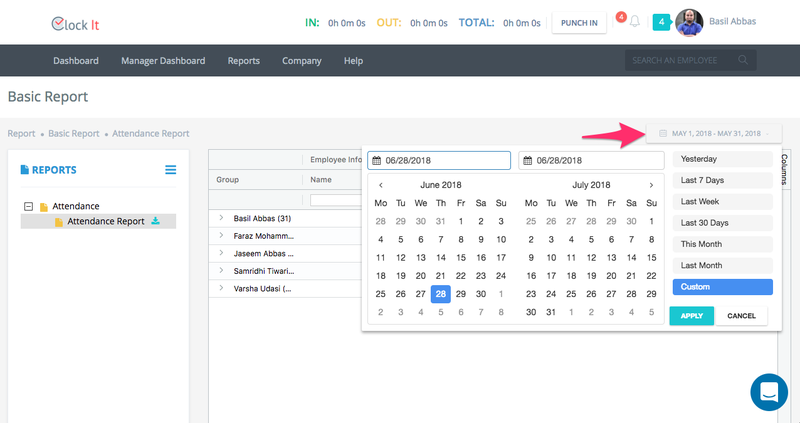 Grouping is the single most powerful feature in ClockIt that will allow you to group by Department, Day, Month etc. 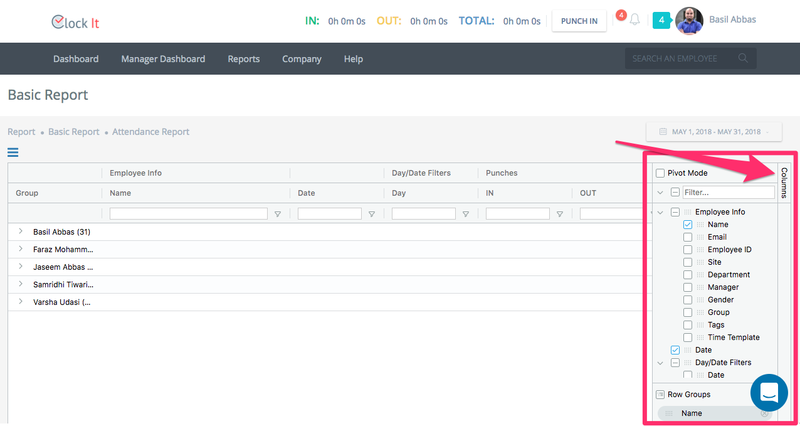 You can also apply multiple group by to generate really clean and meaningful reports. If you do not have a mouse to scroll right, click on the report and use the keyboard arrow keys to scroll. 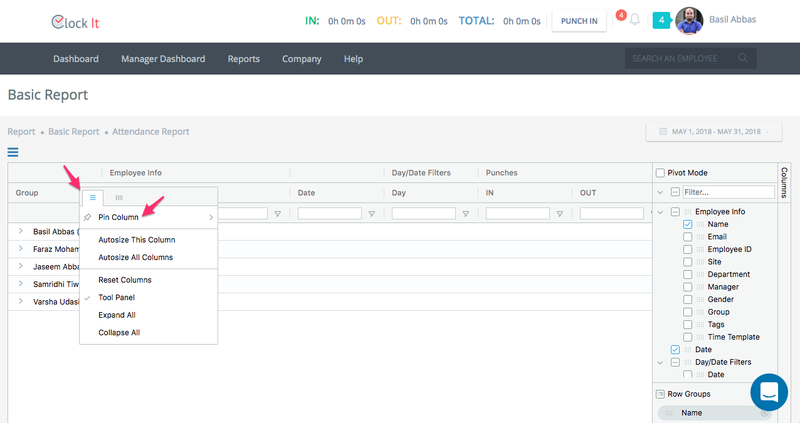 You can select multiple cells and copy paste them into any spreadsheet software of your liking. 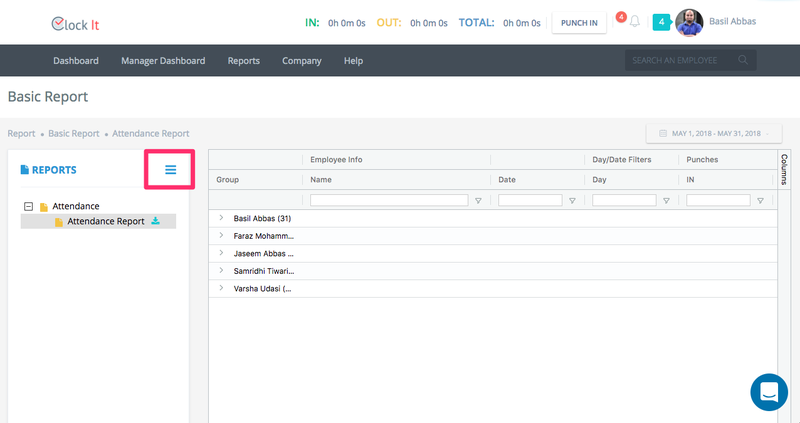 You can expand the data that is grouped by clicking on the expand icon or from the column menu. 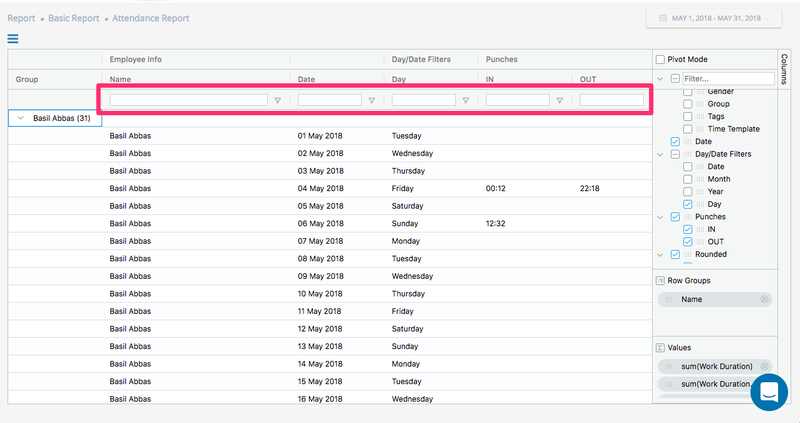 Use the filers to filter data in the columns. You can drag the column left and right and arrange them they way you like. To download the report in Excel, click on the download button.